Sara is vegan. Her diet, and that of her children's, consists of fruits, vegetables, whole grains, nuts and seeds. Even at a cursory glance, most would agree that sounds much healthier than the typical diet of American children. Sara wants the best for her children, and she has learned that vegan diets are often associated with a number of health advantages, including lower blood cholesterol levels, lower risk of heart disease, lower blood pressure levels, and lower risk of hypertension and type 2 diabetes. Vegans tend to have a lower body mass index and lower overall cancer rates. Vegan diets tend to be lower in saturated fat and cholesterol, and have higher levels of dietary ﬁber, magnesium and potassium, vitamins C and E, folate, carotenoids, ﬂavonoids, and other phytochemicals. And only 2% of vegans are obese, compared to 30% of the general population (over 60% of which are considered overweight). Sara also understands that cow's milk is a perfect food...for a growing baby cow. But not for her children. In fact, just a few months ago, the Physicians Committee for Responsible Medicine filed a petition with the U.S. Department of Agriculture slamming cow's milk and demanding it be replaced on cafeteria menus by non-dairy alternatives. "It is now well-established that dairy milk is high in sugar, high in fat, and high in animal protein that is harmful to, rather than protective of, bone health," the D.C.-based organization stated in the document. And according to the well-known Dr. Benjamin Spock, feeding cow’s milk to children can and does cause anemia, allergies and insulin-dependent diabetes. This has also been found in numerous other studies. Sara also knows that the antiquated tag line of "milk doing a body a good" is really just a very successful ad campaign, and that countries with the highest rates of osteoporosis (US being one of them) are also the same countries with the highest intake of cow's milk (again US topping the list) and vice versa. Although cow's milk contains calcium, it is very acidic, and our bodies can handle only so much acidity. To compensate for an over-acidic environment, our blood turns to the most alkaline mineral it can find for a little help... calcium. Calcium ends up being leached from our bones in order to buffer the acidity caused by drinking milk. Maybe WIC fears that Sara's children won't get their nutritional needs met by a vegan diet. But if they looked to the research, they would find there is no need to worry. The most common childhood nutritional problem is iron deficiency anemia, and it has been found to be no more likely to occur in vegan than non-vegan children. Good sources of iron include whole or enriched grains and grain products, iron fortified cereals, legumes, green leafy vegetables and dried fruits. 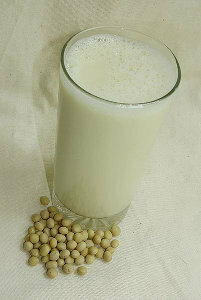 Calcium can easily be found in dark leafy greens, fortified non-dairy milks and juices, tofu, tahini, and beans. Protein needs can be met if children eat a variety of plant foods and have an adequate intake of calories. Dense sources of protein for vegan children include legumes, whole grains, nuts, and seeds, as well as meat substitutes and nut butters. As for vitamin D, children regularly exposed to sunlight have no dietary requirement for vitamin D. For those children who have limited exposure to sunlight or who are dark skinned foods fortified with a vegan source of vitamin D (D2, ergocalciferol) include margarine, some non-dairy milks and fortified breakfast cereals. According to the WIC recipients rights and responsibilities listed on the NYS website for WIC, it Sara's right as a WIC recipient to receive a food package designed to meet her nutritional need and/or her child's nutritional needs. New York State started the WIC program to ensure that children were getting proper nutrition. So why can't they learn, grow and evolve, as updated knowledge on proper nutrition is acquired through current research? And why not provide support for those families that have made the educated choice to feed their children a plant based diet? Sara explains that a typical WIC package consists of 1 $6 check for fresh, frozen or canned produce, a dozen eggs, cheese, 1 can of beans, 2 containers of juice, WIC approved cereal, bread and several gallons of milk a month. When her daughter went for her 2 year check up, she asked her pediatrician to write a note saying that her daughter was vegan so she could have the dairy alternatives in my daughter's WIC package. She was told by a supervisor at WIC that in NY State, a child being vegan was not a legitimate reason to receive a soy package. It could be provided only if the child had a milk protein allergy (A WIC package for a child that is approved for soy includes up to 4 gallons of soy milk a month, which can also be exchanged for tofu). Sara began eating a vegan diet after watching Vegucated. She concluded that for the sake of her health, her families health, the animals ,and the environment, the most impactful action she could take was to go vegan. She believes that feeding children a vegan diet is the most responsible thing a parent could do, and that education of young children can almost guarantee a life of health eating. Her 9 year old son Evan and 2 year old daughter Marley have transitioned to a vegan lifestyle almost flawlessly, and they are embracing it. Following her request and denial for soymilk, Sara was told by a caseworker to call WIC and file a formal complaint, which she did. She has written a letter to Congressman Chris Collins, and she also tracked costs, and found that exchanging soy milk and tofu for cow's milk would not cost any more money. Now Sara needs your help. The best way to support her is to bring awareness and attention to this plight by signing Sara’s petition. You can also write to New York State political figures, or call the WIC hotline to file a formal complaint at (585) 423-8109 (Ask to speak to Amy or Becky). Sara was told that the best way to get this policy changed is if the people that make up the rules know there is a demand for this. There are at least 10 states in the US that allow a vegan child the option of a soy package as an alternative to dairy. New York State is not one of them. Let's let New State policy makers know that New York demands healthier options. Our children deserve it.